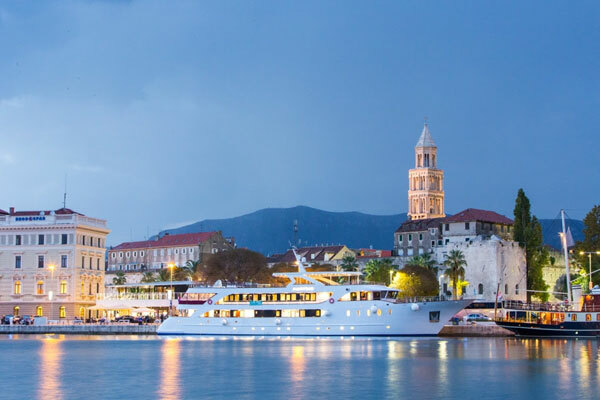 Croatia’s Katarina Line is now accepting applications from qualified agents wishing to participate in a four-night educational cruise around the Dalmatian islands and coastline, June 25-29. Eligible agents will stay free, with a companion in the same cabin staying for $317. Agents are encouraged to bring a companion due to the limited number of single cabins. The round-trip cruise will originate out of Split on the 38-passenger Deluxe Superior vessel Maritimo, one of the newest in the fleet, introduced in 2017. The invitation is valid for agencies and agents that have not previously participated in a Katarina Line educational cruise. Interested agents should contact Katarina Line at 1-800-485-3121 or cruise@katarina-line.hr. The four-night cruise includes accommodation in a modern deluxe superior category cabin, daily buffet breakfasts, four-course lunches, and a Captain’s dinner. Gratuities and drinks are not included. Transfers from Split airport are available on request for an additional $57 each way for up to three persons per vehicle. Katarina Line can also assist with pre- and post-cruise planning. In addition to an overnight in Split, the cruise will visit Korčula, known for its beaches, restaurants and bars. Other ports of call include Hvar, known for its 13th century walls, hilltop fortress and the baroque Saint Stephen’s Cathedral in Hvar’s main square. The cruise also visits the picturesque port towns of Bol, known for its Dragon’s cave and Dominican Monastery; and Omiš, a small town situated between the Adriatic Sea and the Cetina River and a notorious pirate town in the middle ages. Space is limited and agents are encouraged to apply early, as cabins will be allocated on a first-come, first-service basis.